How to fix touchscreen after downgrade from kitkat? PLEASE HELP!!!!!! Do you know some real solution? That is right ,md5 checksum is diferent. May be a post error ,but is very weird. I didnt experience MIUI roms untl now. THIS IS AN AWESOME ROM. ALL WORKS LIKE A CHARM. All the hardware works ok by default.The rom is very fluid and colourfull ,the sesation of navigating ,listen to music with miui music player ,notification system ,permision system (root included) is very cool. You may obtain all these features installing apps in yoyr stock rom ,but this is an experience you must live. Im going to stay with this ROM a long ,log time. 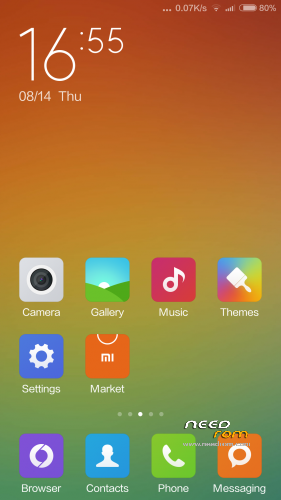 Thanks a lot to the developers to bring REAL MIUI to our g5s. I came from Team Force ASOP.